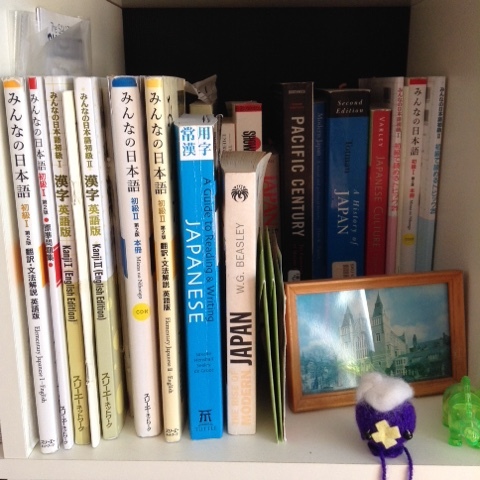 Today's post is about studying japanese at uni. I've already done a post on some study tips, but I thought I'd do another about Japanese specifically. What is it like studying Japanese? Japanese is really difficult. Especially studying from scratch. There are a lot of hours and a lot of homework. But Japanese was the time sink. I'd say it took up 90% of my time? I studied a few hours each day on top of lessons, more in exam season. Although most people say first year doesn't count, this definitely wasn't true for me. My performance this year affected where we could go on our exchange next year (there were other factors too though). My impression was: if you didn't keep up with the work, you failed. That doesn't mean people couldn't go out and have fun, you just had to manage your time well. Barely anyone had a part time job this year. 1 Start as you mean to go on: at the start of each term, make a rough study plan and get folders/ etc to store your notes. 2 Start revising early. The week before the test is not enough time to re learn your whole course. 3 Get any big problems 'fixed' before exam period. You shouldn't be learning anything new in revision. 4 Make studying every day a habit. Learning 5 kanji every day was so much easier than trying to learn it in a rush the morning before the test. 5 Try and commit stuff to long term memory- if you know kanji in the weekly test, but forget it by the end of the week there is no point. 8 Write kanji over and again. It's not enough to be able to recognise them on Memrise, you need to be able to produce them. 9 Use flash cards all the time in your spare moments: on the bus/ walking to uni. I walked to uni reciting vocab to myself, people might have thought I was crazy but I always got over 95% in the weekly tests. 10 Sometimes getting friends to test you is good. Sometimes it's a distraction. Be honest with yourself. 11 Make sure you take regular breaks or you'll lose concentration. 12 For kanji: try and learn some of the radicals, then you can remember which radicals a kanji is made of. 15 Over the holidays, do a little Japanese every day to keep it up. 16 Don't forget the rest of your degree!! Make time to go over key facts/ do wider reading before the day before the test: cramming is hard ^^;; This also goes for you joint honours kids. There are my study tips, I hope it was helpful! Everyone has a different learning style, so just figure out what works best for you.